Snip your front yard's shrubs into shape with our easy-to-follow pruning tips. Shrubs play a vital role in your landscape, serving as decorative borders, living fences, and foundation plantings that add distinction and personality to your property. But if your privet hedge is suddenly sprawling all over your sidewalk, it may be time to get out the pruning shears. Whether you’re just trying to control the rapid growth of the hedges under your windows, or you want to increase the number of blooms on your snowball bush, correct pruning is the key. Before you start clipping away, prepare yourself with this list of common dos and don’ts. Get your shrub off to a good start. Immediately remove any dead branches by cutting them as close to the shrub’s main stem as possible. This is also the time to inspect the root ball and remove broken roots, which can spread disease to the rest of the shrub. Cut off any large roots (thicker than your little finger) that have grown in a circle around the root ball, as these “girdling” roots will never straighten out and could eventually kill the shrub. Dull blades can damage branches, creating tears that lead to disease. Sharpen your pruning tools to ensure the smoothest cuts, and keep them clean to avoid transmitting infection from a diseased shrub to a healthy one. Sterilize pruning tools before every use, and in between uses on individual shrubs, by wiping them down with rubbing alcohol, household disinfectant, or a 10-percent solution of household bleach and water. Spring-flowering shrubs, such as lilac and forsythia, develop buds that will display the following year during the previous year’s late summer and early fall. If you prune during fall or winter, you will cut off these potential blooms, resulting in little to no growth the following spring. If you need to maintain size or remove dead wood, prune immediately after buds bloom to avoid snipping off next year’s blossoms. Summer-flowering shrubs, such as roses and crape myrtle, develop buds in late spring and early summer, and should be pruned during dormancy in late winter or early spring to stimulate flower production. No matter what type of shrub you have, fall pruning can stimulate late-season growth that may not have enough time to harden, which can weaken and damage the plant—especially if there’s an early frost. Wait until the shrub is deep in dormancy to give it a trim. Unlike seasonal pruning, maintenance pruning is an ongoing process. This includes removing diseased or broken branches and snipping away any fast-growing sprouts during the growing season. Limit maintenance pruning to fixing immediate problems, and never cut away more than is needed. 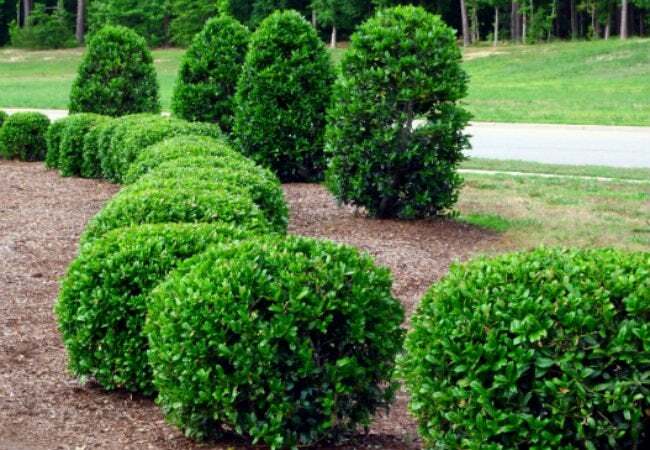 Shrubs that get abundant light and air circulation are healthier than shrubs with compact centers. To thin a dense shrub, prune up to one-third of its side branches where they connect to the main stem. If it’s a multi-stem shrub, prune out the branches at ground level. 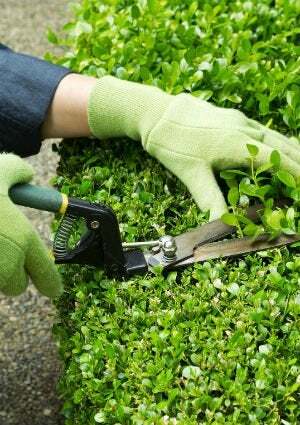 By opening up the center of the shrub, you’ll ensure that it receives adequate air and light. The simplest shape to maintain is the one that is most natural to your shrub. This factor is just as important during the shrub-buying stage as it is to the pruning process. By knowing what your shrub should look like as an established specimen, you’ll know where it will fit best in your landscape and how to prune it to maximize its display potential. Cutting off the top of a shrub is a radical step, and it doesn’t work. By shearing off the top to obtain a cube look, you’ll stimulate leggy vertical growth, which leads to that unsightly “witches’ broom” effect. Unless you’re in the topiary business, you’re better off individually cutting back too-tall branches. Keep in mind that whichever way a bud faces determines the direction of the new growth. The guiding principal here is to prune at a spot that’s just above an outward-facing branch bud. It takes a bit more time, but you’ll be happier with the results. Give that ancient woody spirea a new lease on life by pruning out the older wood to stimulate new growth. The new branch sprouts will produce more blossoms, so you’ll be able to keep an older shrub looking young for years. When removing side branches, cut within one-quarter inch of the main stem. Anything longer is susceptible to disease or infestation by insects. Pruning flush with the main stem at a branch’s point of origin gives the shrub its best chance of healing from the wound.